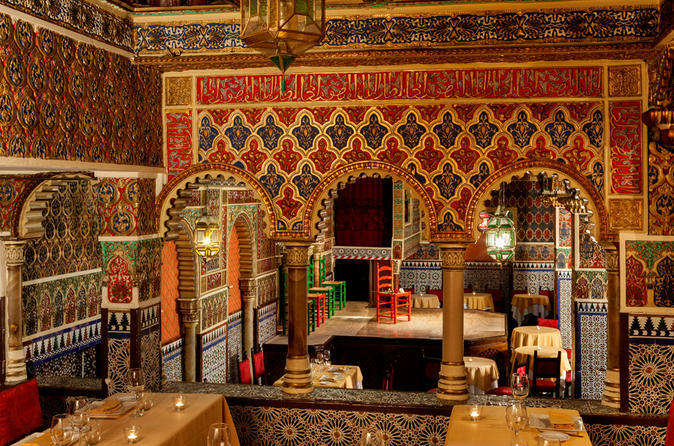 Torres Bermejas, opened in 1960, is unique for its stunning room that reproduces inside the Bermejas towers of the Alhambra in Granada, with walls with Arabic motifs, tiles, and wooden covered ceilings. When you come to the flamenco show, it is an unforgettable artistic experience by the Cuadro Flamenco composed of the best artists from singers, guitarists, clappers and dancers. The flamenco night will be complete with dining proposals inspired by traditional Spanish cuisine, very innovative touches and the dominating product quality.